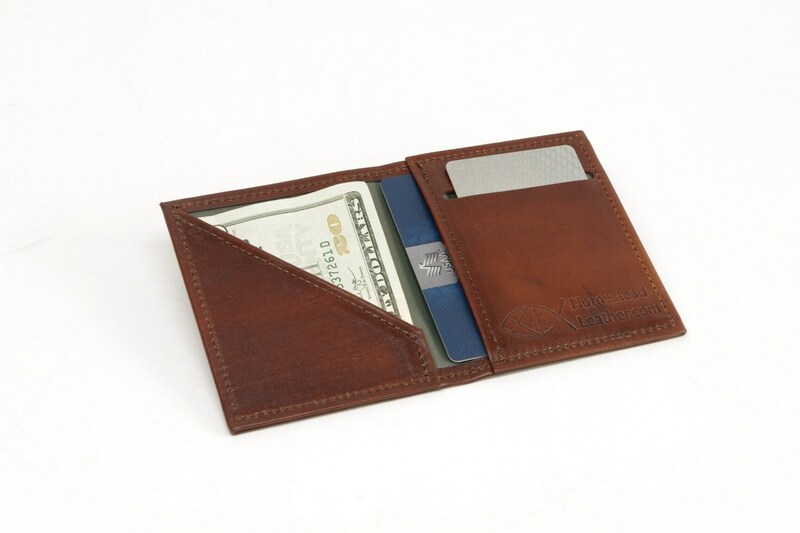 When I designed my Vertical Bifold Wallet, my goal was to make a fully functional wallet as small as possible. 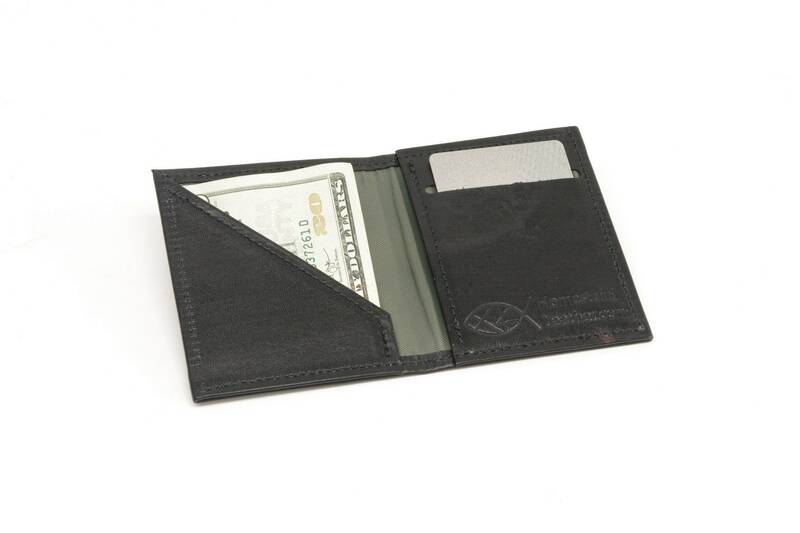 I specialize in minimalist wallets, refining my designs to be as slim and unobtrusive as possible. 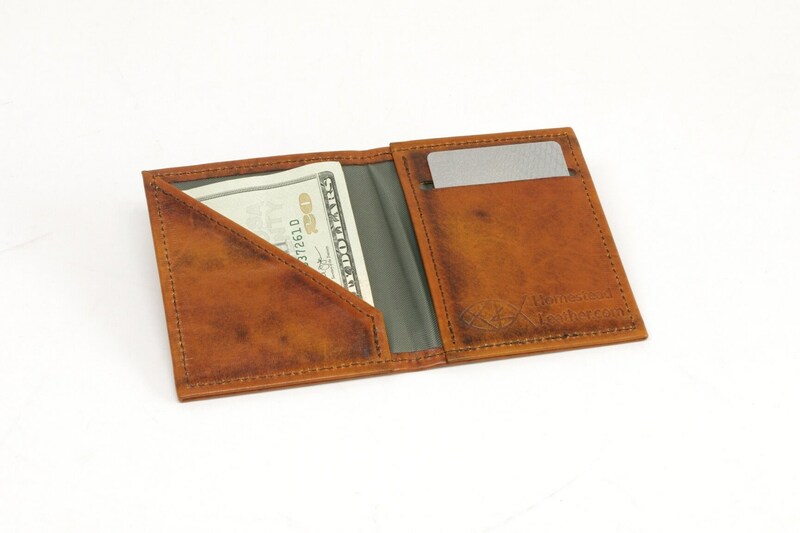 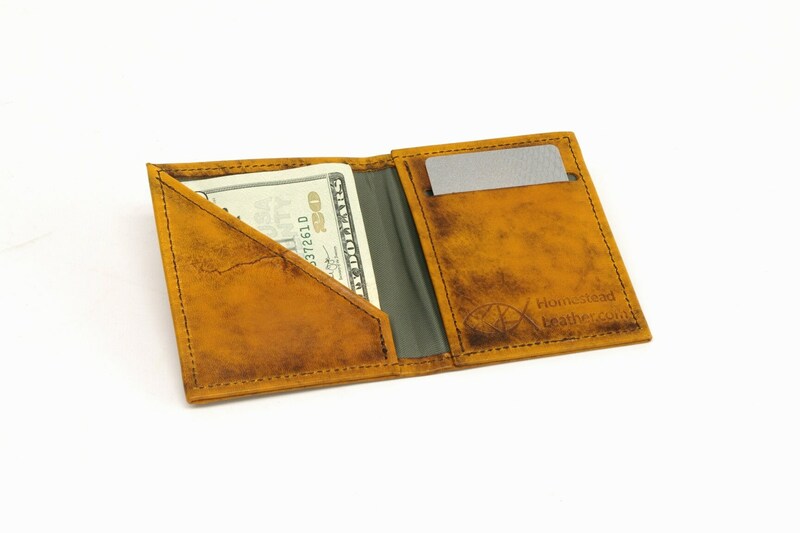 This wallet has a card slot on the outside, one on the inside, a pocket to keep folded cash easily accessible, and an extra inside pocket as well. 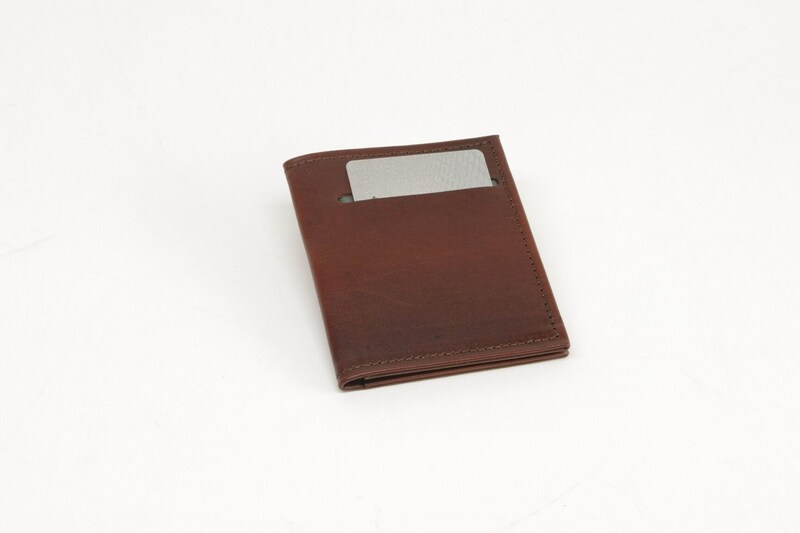 It is slightly smaller than a traditional bifold wallet, and fits comfortably in your front pocket. Add a monogram! 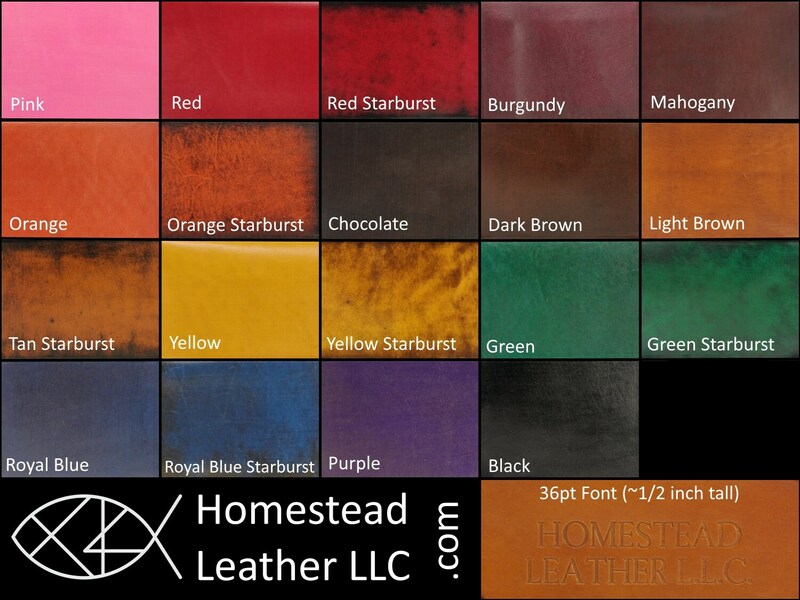 I am happy to stamp initials, a name or whatever your heart desires.